Harvest Annual Mardi Gras menu will be back February 5th thru March 4th 2014. Watch facebook and the Harvest website for menu and details. Click to Play - Harvest on USA Today! Again Harvest makes it into the national news…. 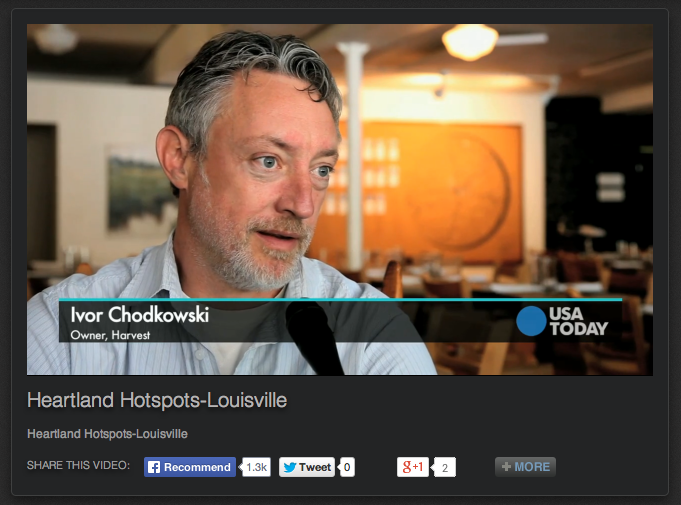 this time in an interesting feature by USA Today called Heartland Hotspots. The video looks at the exciting things that are happening in NuLu.